Big storms here on Earth are capable of tearing down power lines and even toppling structures, but no weather pattern you’ve experienced this planet holds a candle to the colossal storms of Jupiter. The gas giant is well known for its incredible swirling vortexes that last centuries, and a new photo captured by NASA’s Juno spacecraft shows off a pair of the largest Jupiter storms getting very close. 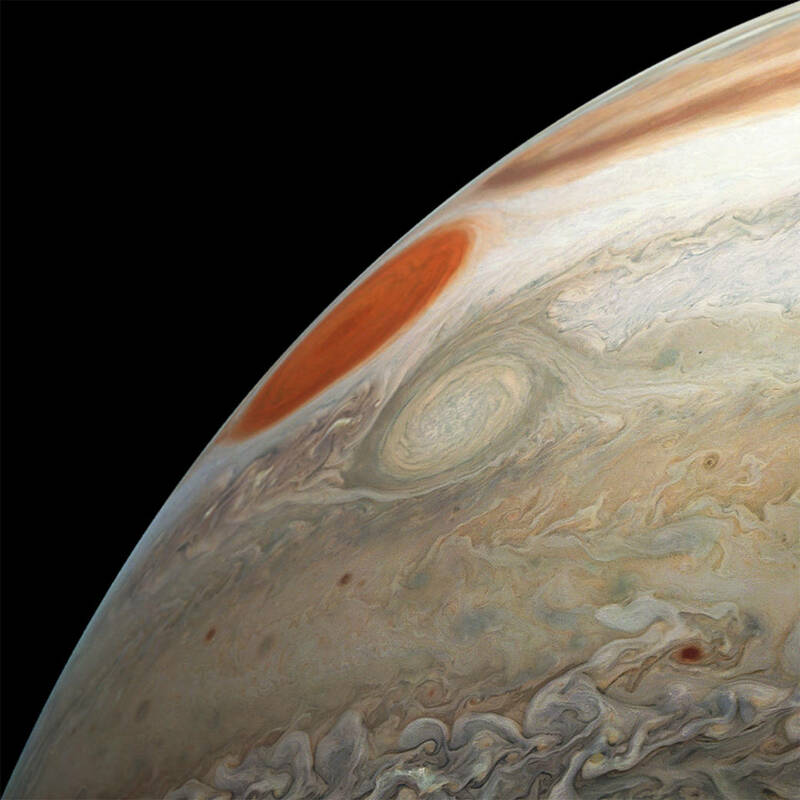 The image features Jupiter’s iconic Great Red Spot as well as a smaller but still massive storm called Oval BA, which has been going through a series of dramatic changes over the past couple of decades. Even after the trio of smaller storms merged to become Oval BA, its appearance began to evolve. As NASA notes, the storm used to have a bold orange ring near its edge which has since shifted to a pale yellowish white. The photo was snapped on December 21, 2018, and Juno was between 23,800 miles and 34,500 miles from the planet’s cloud tops when it captured the image. The photo is color-enhanced to bring out more of the detail than was visible in the raw image. Scientists using Juno’s powerful instruments have learned a lot about Jupiter and its colossal storms in recent years. Using Juno data, researchers determined that storms like the Great Red Spot stretch far deeper into the planet than was previously assumed. A study in 2017 revealed that the Great Red Spot extends an incredible 200 miles into the atmosphere, but it’s also rapidly shrinking.